Shortly after I assumed the Secretary-General position in April last year, I asked members who had views, concerns and things to take off their chest to have a chat with me and discuss them.I wish to thank all of you who took the initiative and time to meet me. I have decided to speak today about the main issues that came up in our discussions. I have grouped your feedback into two broad themes. The first is inward-looking and focused on the Workers’ Party and how we will move forward as one team. The second is more outward-looking and concerns the Party and its relevance to Singapore and Singaporeans. 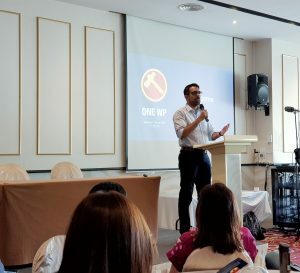 Many members shared that all political parties in Singapore including the Workers’ Party have to operate in a more complex political environment going forward, with Singaporeans today hosting many different aspirations and expectations. They include the youth, parents or parents-to-be, the sandwiched middle-class worried about cost of living, the middle-aged who are concerned about falling HDB prices and the elderly who are worried about the adequacy of their CPF retirement funds. Then you have community aspirations across the various ethnic groups, new citizens who come from many different countries in Asia and beyond, married couples where one spouse is not from Singapore, and yet other individuals whose political views are defined by their attitudes towards beliefs and personal causes like their religious inclinations, views on LGBT issues, environmental concerns and animal welfare. And there are others too. These varied groups will represent our membership base in the very near future, if they do not already. Our future members will come from many walks of life, driven by different ideas on how to improve the welfare of Singaporeans. Inevitably, even members and our supporters will differ in their approaches and solutions to policy issues and problems. This reality means that political solutions will seldom be one-size fits all and wisdom would dictate that a sense of proportion, empathy and balance should drive how the Workers’ Party approaches Singapore politics. Politically, we should aim to understand both sides of the picture to propose reasonable and practical solutions that do not just address one aspect of a problem, but offer choices to our people in the context of multi-racial and multi-religious nation where the common space requires a healthy spirit of ‘live and let live’ and an attitude of tolerance. This approach underscores our vision to better the lives of all Singaporeans and to create a truly inclusive country, regardless where one stands on the political spectrum. As an opposition party, we have a role to play in supporting what it means to be Singaporean – e.g. racial & religious harmony, National Service and the importance of an incorruptible Public Service, etc. to name a few. In order to do this, I would like to suggest to members our vision must be to continue building on the sensible approach of rational and responsible politics established by Mr Low Thia Khiang. All of us are ambassadors of that project. No just ambassadors, but the central arrowhead and vanguard. This approach best represents how opposition politics can develop and how the Workers’ Party can remain relevant for Singapore and for our members, volunteers and supporters to serve in the national interest. But if our members are not comfortable amongst Singaporeans from all walks of life, at hawkers centers and in the coffeeshops and are not able to have conversations like friends and neighbours, we will not be able to read the public mood, let alone serve Singapore with conviction and dedication. We are better off not putting candidates forward if we do not have people who want to better the lives of Singaporeans or if we have people who enter politics out of a misplaced sense of personal ambition. We have to put the best team to offer a secure alternative to Singaporeans – let me stress, the best team, not the best individuals. As the party matures, this distinction between team and individual will become more significant. The Party must comprise of members who work with others and not march to their own drumbeat. We are right to be cautious about individuals who are personal with those who disagree with them and personal even towards our political opponents. Of course, we meet people of all stripes and views, within our own party too. Even as members acknowledge, accommodate and accept differences, we should be mindful that disagreement does not turn into division. We have to agree to disagree and not make the mistake of looking down or speaking ill of those who have a different view or think a member has more speaking rights because he or she has been in the party for a longer period of time. This is the path of self-righteousness that we must avoid. One question that regularly popped up amongst members was the Party’s vision going forward. The Workers’ Party may be 62 years old this year, but we won our first GRC only 8 years ago, and held on to it by a razor-thin majority in the 2015 General Elections. Let us never forget that we only have a toe-hold in Parliament when we consider the margin of the result in Aljunied. The risk of a wipe-out with no elected opposition represented by the Workers’ Party is a real one. So where do we go from here? In most countries in the world, the goal of any political party must be to form government so it can implement the wishes of the electorate and shape the Government’s policies differently from the incumbent. When I joined the party almost a decade ago now, the reason was to contribute to an opposition that had only two elected MPs in Parliament. It had nothing to do with a change of government. What drove me was a desire to make sure the PAP did not have a blank cheque to govern because that is very opposite of what being a Singaporean in a parliamentary democracy is about. Equally, I did not believe that one needed to wear white to enter public service and to be of service to Singaporeans. As the years went by and having had a chance to review my understanding of Singapore politics as an MP, it became my firm belief and conviction that Singapore must aspire towards a genuinely diverse Parliament with at least 1/3 of the elected seats in in opposition hands – regardless which party is running the country and which party or parties are in the opposition. As a medium term objective, the Workers’ Party should aim to contest and win 1/3 of the seats in Parliament. I say 1/3 in the medium-term because of the past experience of the Workers’ Party in attracting suitable and qualified candidates who are willing to stand in general elections. For a small party like ours, it is a high bar. The political outcome that is desired is one which makes any Government sensitive to the pulse of the people and their welfare, allowing any ruling party to govern without gridlock while promoting the political openness that so many of us yearn for in Singapore. It will engender a different type of politics that precipitates a Singapore which is caring and confident about the future, not one that is framed by libel suit after libel suit against one’s opponents, be they in politics or civil society. Never forget that the playing field between the PAP and opposition will continue to be uneven given the PAP’s determination to maintain its dominance through its control of grassroots organisations. This includes its ability to make changes to the Constitution, the highest law of the land, through its near absolute control of Parliament. But let us be clear. The Workers’ Party or any political party is only a tool to effect political change. It is the voting public who must decide whether they want a representative and balanced Parliament to prevent ‘ownself check ownself’. What do we offer and what do we stand for? Our party’s philosophy is established in our election manifesto for Singaporeans to scrutinize. We believe in the minimum wage as an expression of how Singapore should protect its most vulnerable and as a national commitment to our workforce. We believe in more educational choices for our children. To allow any child a direct-route to the ‘O’ levels and bypassing the PSLE should they wish to do so. The focus should be on a childhood of wide experiences and the acquisition of real skills and aptitudes with a view to prepare for lifelong learning. We believe in absolute dignity for the elderly and a national commitment to look after the medical needs of our seniors after they retire, particularly the low-income and the destitute. We insist that more taxpayer dollar are spent on disabled Singaporeans, who have more mountains to overcome than the rest of us through no choice of their own. We seek more transparency on a whole range of public finance issues, from the cost price of HDB flats to the investment of our reserves. This would allow the public to consider alternative policies and options from a realistic starting point – a starting point that recognizes that everything has to be paid for and that public spending must be sustainable. This is the essence of the vision we offer to Singaporeans. The freedom to choose, care for our workers and families, responsible leadership and accountability. To conclude, the path of choice for all of us, whether we have been in the party for 60 years or 6 days must be that of service and wisdom, with a desire to build one united Workers’ Party. I hope Members Forum 2019 serves to renew our commitment to work together for the betterment of the Party so that we are all clear about serving Singaporeans with vigour and sincerity. As always, we have a lot to do – most of which had to be done yesterday. For those members who feel that the path is challenging and hard and even god-forsaken, that is the reality of our operating environment and none of the MPs and CEC members will sugar-coat it. However, the only promise I can make is that you will find the journey of public and community service incredibly humbling and personally fulfilling. It will make you a better person but only if you come with clean hands, a clear mind, dedication and a sincere desire to serve. Finally, I wish to record my thanks to the Organising Secretaries and their member volunteers for putting this Members Forum together. It takes a team to do so and from all of us in the Party, thank you very much for your efforts. Chair and I look forward to taking your questions at the end of the Forum but until then, I hope all of you have a fruitful time listening to the various presentations. Thank you.